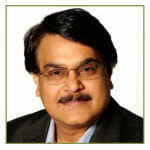 Dr. Ajaz S. Hussain’s mission is to improve predictability of medicinal product development and regulatory approvals. He has led some of the U.S. Food and Drug Administration's major initiatives to develop regulatory policies that already have, and will continue to have, a significant impact on product development and approval in many geographies. His current practice continues this mission, with a focus on helping his clients identify and mitigate risk in their development projects and in non-compliance with regulations. Ajaz has led the development and/or regulatory submissions of first-in-class Biosimilar, Follow-on Protein and Complex Generic products at Sandoz during a critical phase for the company when it had to successfully navigate through uncharted organizational, legal and regulatory terrains. At Philip Morris International, he took on the challenge of higher levels of uncertainty (regulatory and business) and product complexity to build strategies and systems to successfully move forward development programs on plant-based vaccines, products for tobacco harm reduction, and ensure credibility of scientific evidence to seek regulatory discussions and submissions. Ajaz’s experience at Wockhardt has helped him to understand the opportunities and talent companies in India have, the challenges they face, and how they can bring forward effective solutions to maintain and enhance competitiveness and credibility. His broad experience in industry combined with his experience at the FDA form the foundation of his current practice. The solutions he can offer to your enterprise are based on a deep understanding of the challenges faced by business decision-makers as well as the factors that contribute to risk of development failure and regulatory non-compliance; an understanding that spans multiple products, sectors, and organizational cultures. His testimony to the U.S. Senate Health, Education, Labor and Pensions (HELP) Committee reflects his commitment to rigorous science-based approaches, as well as a balanced position on the need for healthy competition and appropriate protection of intellectual property. To learn more about Ajaz and how he can help your organization, please explore the links on the left or contact him directly.